These are excellent with the right dipping sauce. 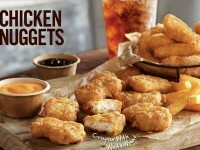 Yesterday we mentioned that Burger King had announced they were offering their 10-piece chicken nuggets for only $1.49. 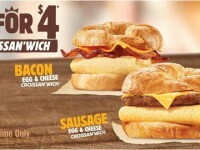 I decided to drive out to burger king and pick up some of these and offer my review. I actually was happy with them. 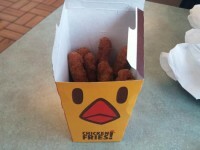 They had a nice shape (great for dipping in my favorite sweet and sour sauce), and had a nice taste. The chicken inside was a little moist and juicy. They might have been a little on the bland side. I really like the seasoning on the nuggets at Wendys, so in comparison, these weren’t as flavorful, but I did enjoy them quite a bit more than those from McDonalds. 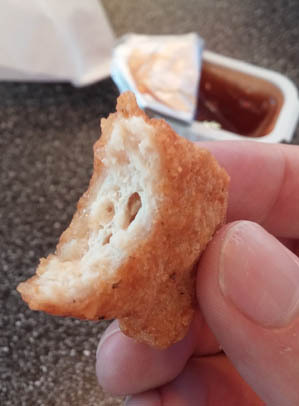 McDonalds nuggets are way to dry, to the point of almost crunchy. When you add the sauce to these chicken nuggets, the flavor was excellent. Hunger Filling Grade: C – Obviously you aren’t going to fill up on chicken nuggets, but for the price of only $1.49, you can afford to get two orders, enough to make it more of a meal. 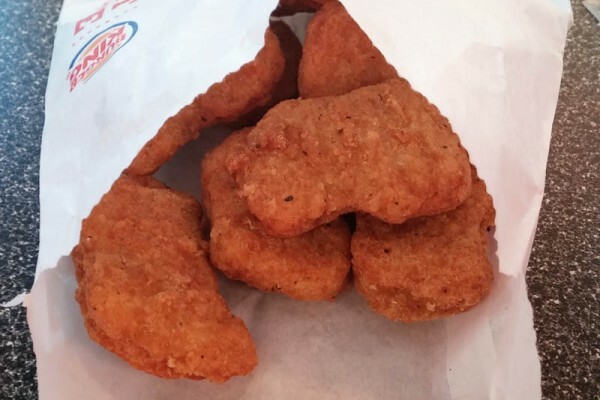 Value Grade: A – Compared to Wendys that sells 4 nuggets for 99 cents, and McDonalds that does a 20-piece box for $5, you are definitely getting the best price per nugget. Bottomline – Not as good as Wendys, but way better than McDonalds. At this fantastic price, add some of our favorite sauce and you will have a nice side to your meal.